I found a copy of VAS PC, the software that VW uses, and browsing through it’s files I found an interesting file named "sys45________1_1010_11_zuweisung_xds". Zuweisung means "to grant" in English. RDW stands for Rest der Welt, "Rest of the World" in English. 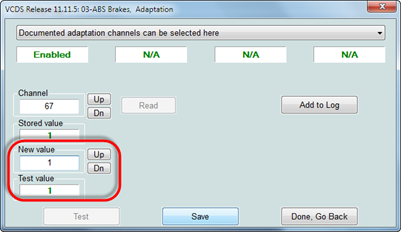 The rest is pretty obvious, for the Passat we can enable XDS by setting Adaptation channel 67 value to 1. The file mentions the following VW ABS Module numbers: 3AA614109H, 3AA614109J, 3AA614109K, 3AA614109L, 3AA614109AB, 3AA614109AC, 3AA614109AD,3AA614109AE. 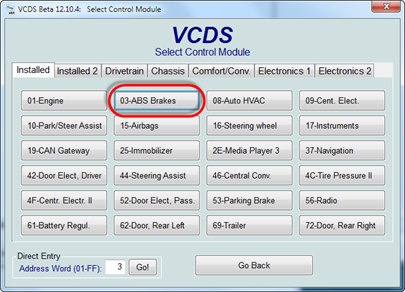 I don’t know to which vehicles those part numbers match but since the Passat B7 shares it’s control modules with the Passat CC I presume it will work on the CC as well. It’s also possible that the Passat B6 is included but I can’t confirm this. 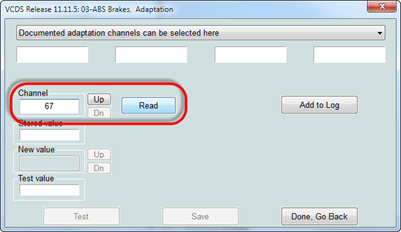 The Tiguan also appears in this file as 5N_Tiguan_2008_RDW and 5N_Tiguan_2008_Usa_Cdn where the adaptation channel 67 is set to the value 2. 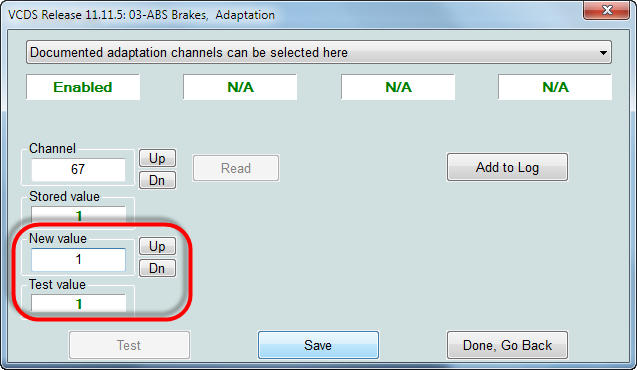 The default (for other models) is channel 36 which corresponds to the known adaptation channel for the Golf mk 6. The Touran is also mentioned as 1T_Touran_2003_RDW and 1T_Touran_2011_RDW but it’s not clear (to me) what the correct value should be because the script seems to popup a dialog. Based on the input in the popup the value is set to 0 or 1. 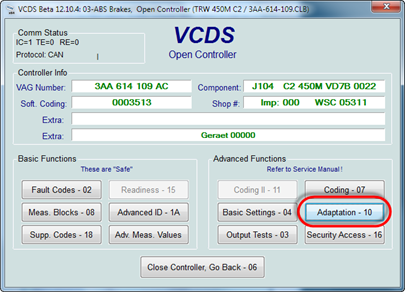 I passed all of this information to Ross-Tech a while ago and it seems like it was processed in the latest VCDS Beta, version 12.10.4. Thumbs up to Ross-Tech! 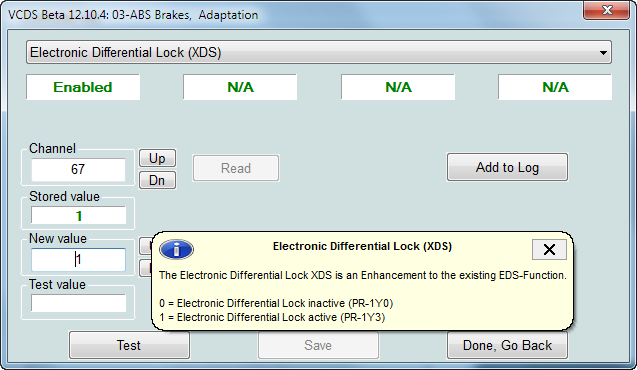 So let’s test this on a Passat B7! 3 Responses for "Activate XDS with VCDS on Passat B7"
Once XDS is on will it show up on main computer screen as option? Don,t want to drive with this on all the time.